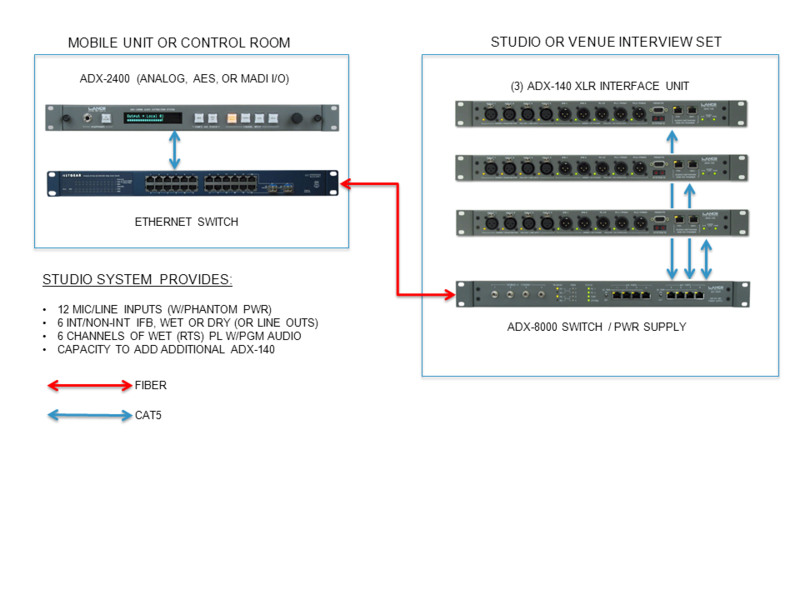 This system provides all required audio and communications facilities for a 'studio' type talk or interview show. It provides for up to 12 microphones, six two-channel wet IFBs, and six channels of wet PL with 4RU of lightweight equipment. No other equipment is required. Note that redundant fibers are possible with all the examples shown, but not included in the drawings for the sake of clarity.